Why Has God Not Answered My Prayers? 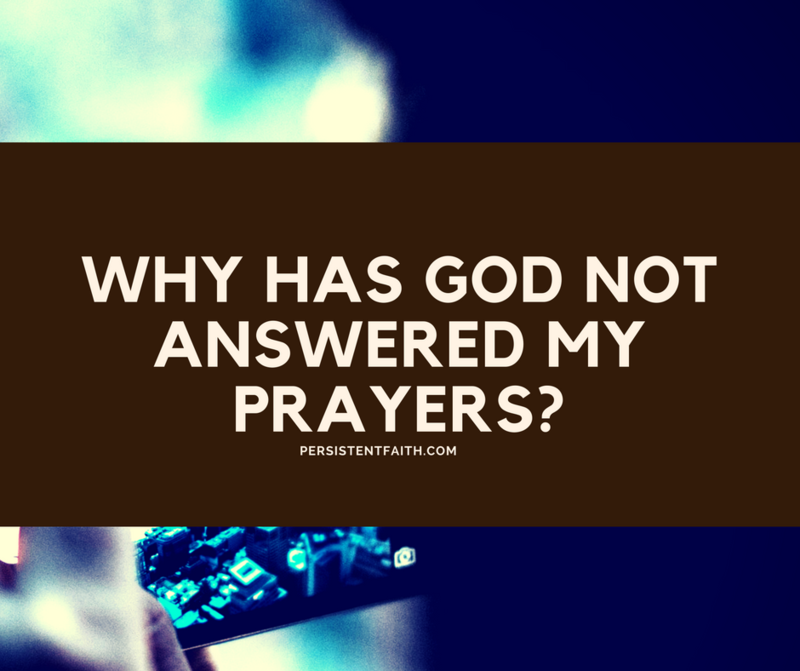 Do you know that He may have answered you already but you refused to listen? Israel wanted a king (1 Samuel 8) and kept demanding. Through Samuel, God told them that this king would not be good for them and many bad things would happen but they didn’t listen. Samuel informed them: “If you have a king ruling over you, this is what he will do: He will take your sons… He will take your daughters… He will take your best fields… He will take one-tenth of your grain and grapes…He will take…” (1 Samuel 8:10-18). The king will take and take and take. He definitely was not good for them. They were forewarned that having a king wasn’t going to be good for them, but they still wanted it. God answered them and gave them Saul. In the end, it happened as it was foretold (1 Samuel 14:52; 22:7). It’s very disastrous to walk outside God’s will – running around in circles, wasted years, regrets, heartache, fear, no peace of mind. Can you handle that? Beloved,“If you hear God speak today, don’t be stubborn” (Hebrews 4:7 GW). My Lord, my God, help me to walk in Your will and not outside. Father, help me to walk in the path you have marked out for me. Jehovah Shammah, Elohim, El Shaddai, help me to go only where you want me to go, in Jesus name I pray. Abba Father Yahweh,help me to always do your will for my life.I am tired of running around in circles doing my own way.I want to see how you do things on my behalf and not me trying to make it my way.I want to be true to my name,My Father’s Joy. Please God help me in this problems i am going through i dont whats really happening to my life i dont know that is it that the word is preached but i dont practice it, i am going through a hard time please pray with me i want to see my life changing. I will always be grateful to the Lord, whatever it is .. my prayer was answered or not, because I trust and believe God will answer my prayer. because personally I’ve proved it. Praise the Lord. Im given a notice at my work place and just accepted it because I know God has a better plan for me out there. The day I received it, I cried asking God why me, and as a child of God I prayed that I should not worry much as a lot of manna is going to come from him. I have faith that I will do better out of this job. I thank God for my faith in him and more blessing I will receive, in the mighty name of Jesus, AMEN. Your post on the above spoke to my heart. I have been praying to God for total healing for about four years now. Maybe he has answered me and I have not listen. From now on I will ask him to strengthen me through his son Jesus as I face each day. I thank God for the persistence,you ave been my source of encouragenent,knowledge ad wisdom,even those days wen i was down,didnt ave a job u wea alwaz thea fo me.God bless you.